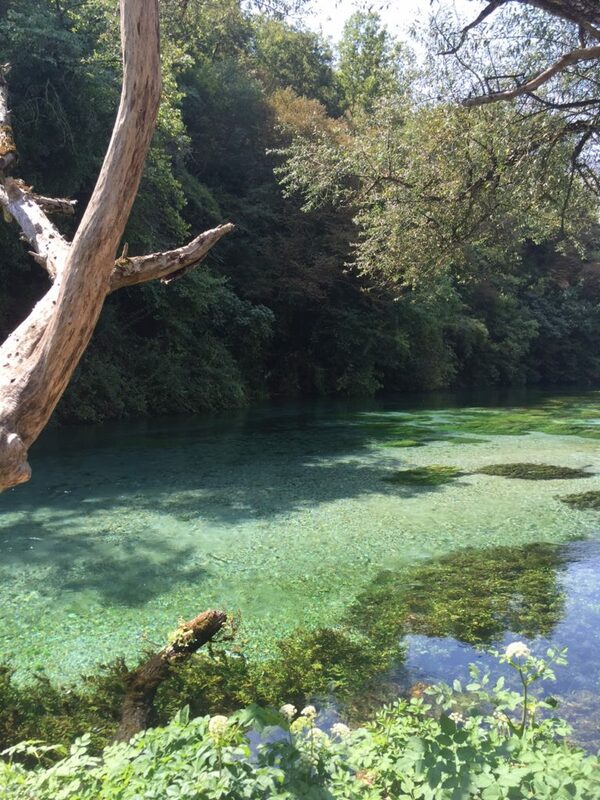 The Blue Eye is one of the most beautiful sights in Southern Albania and an easy day trip from Saranda. Conveniently, the Blue Eye in Albania is also right on the way to the UNESCO World Heritage Site of Gjirokastra (also written Gjirokastër), Berat’s twin city. It’s quite easy to see both the Blue Eye (Syri i Kalter in Albanian language) and Gjirokastra together in a day trip if you are based in Saranda. If you have more time, you can visit them separately as well. 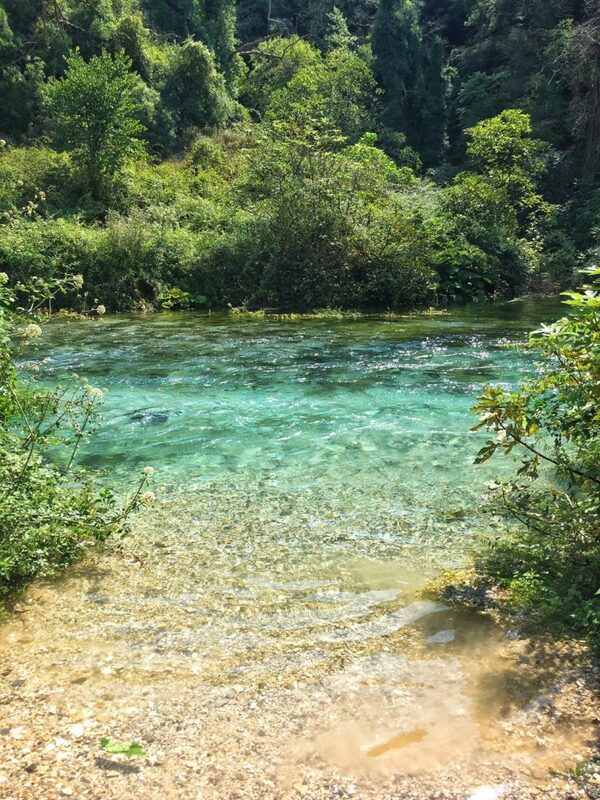 Don’t fall for the guided tours telling you it’s too difficult to see The Blue Eye in Albania on your own. With a bit of pluck and planning, you definitely can — and it’s worth every minute. If you’ve done any research into transportation in Albania, you’ve probably bit your nails, questioned your plans to go, and got yourself super deep down a Google rabbit hole. Relax. 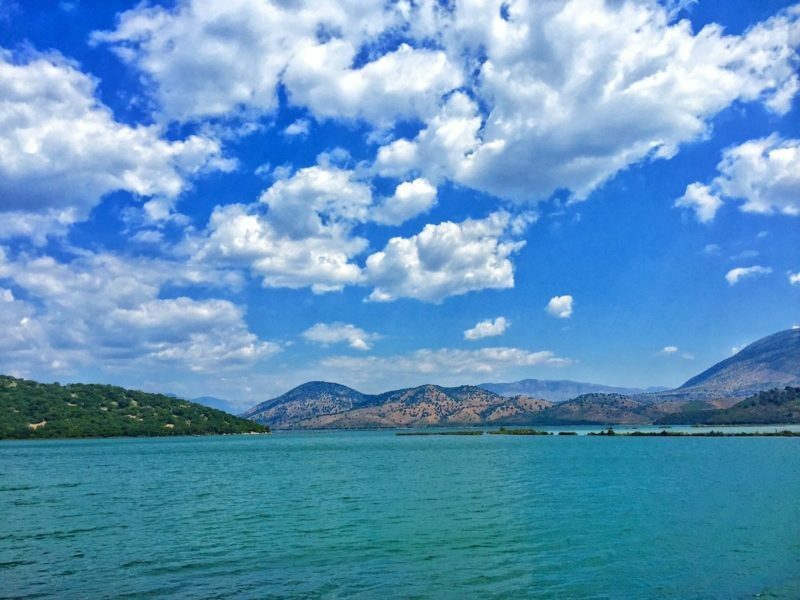 Traveling in Albania is not nearly as hard as everyone makes it out to be. For one, Albanian people are quite possibly the friendliest people I’ve ever met. On my way to The Blue Eye, everyone was so helpful in pointing me to the right bus that I had absolutely no trouble finding it. I’ve lost count of the Albanians who have helped me with directions, bought me coffee, offered me snacks and cakes, given me rides… all without expecting anything but a thank you in return (which, by the way, is pronounced fah-la-min-DAIR-it in Albanian, and you’ll delight everyone if you memorize it and use it prolifically!). That’s why I tell everyone who will listen that Albania is my favorite country I’ve traveled to. That being said, it helps to have an idea of what to expect before you try to go to the Blue Eye, to relieve planning anxiety and make realistic plans, so I’ve gone ahead and laid it all out for you! What is the Blue Eye (aka Syri I Kalter)? 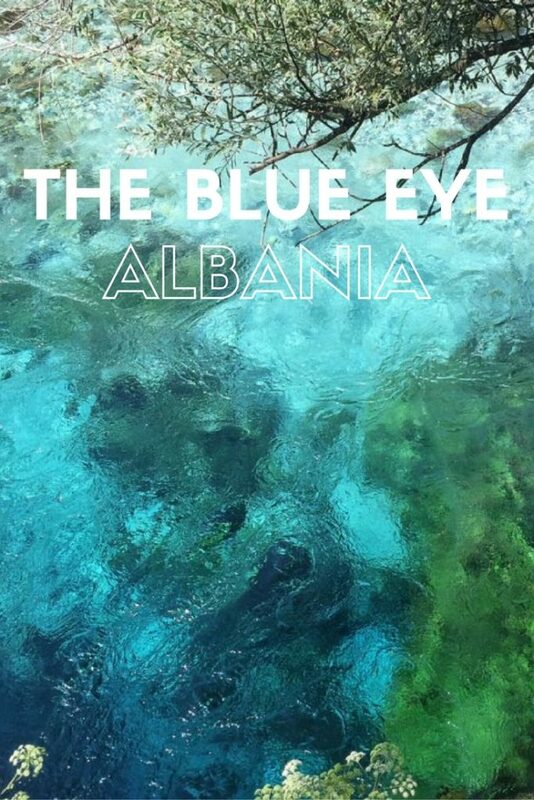 The Blue Eye is one of the most iconic images from Albania, and with good reason. 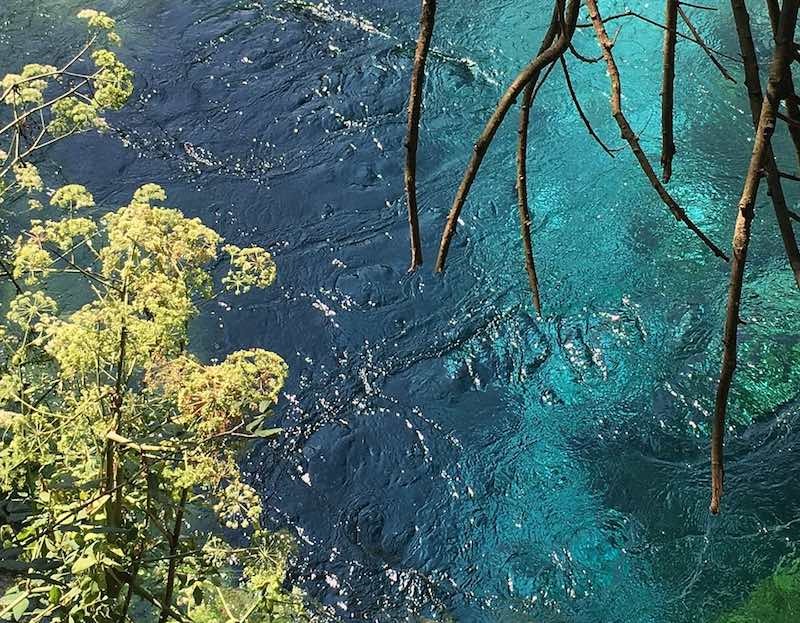 The Blue Eye / Syri I Kalter is one of those rare places that looks just as beautiful in pictures as it does in real life, because the colors are just that vivid. It’s as if real life had the saturation turned up to 100… but it’s just, you know, real life. 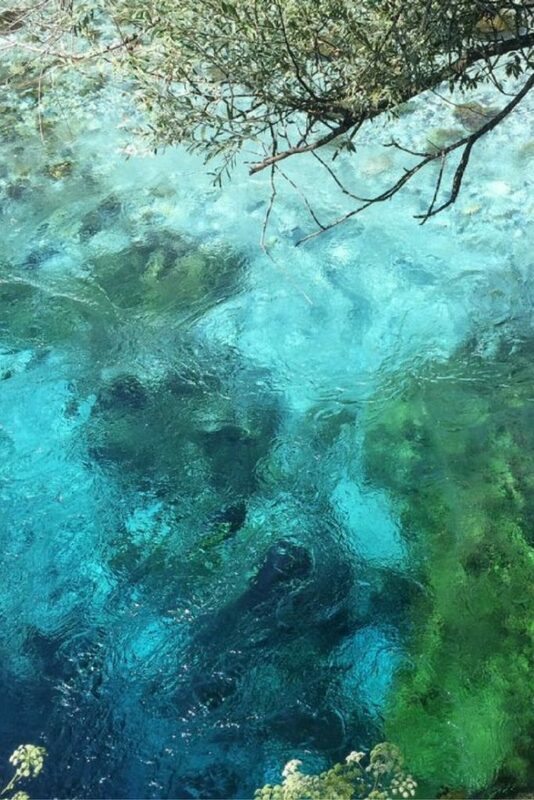 No one really knows how deep this fresh water spring of The Blue Eye goes down, because no one’s been able to dive to the bottom. It’s at least 50 meters deep, and probably way more! The Blue Eye is constantly gushing out freezing cold water, and the bravest amongst us (read: not me) flout the no swimming and no diving signs and take the plunge. You can see the force of the current, as it sends jumpers quickly downstream. It’s really quite impressive (and, let me reiterate, absolutely freezing). If you love these crystal blue waters of Syri I Kalter, be sure to check out the beaches of the Albanian Riviera as well, just an hour or so north of Saranda — and trust me, the water is much warmer in those parts! 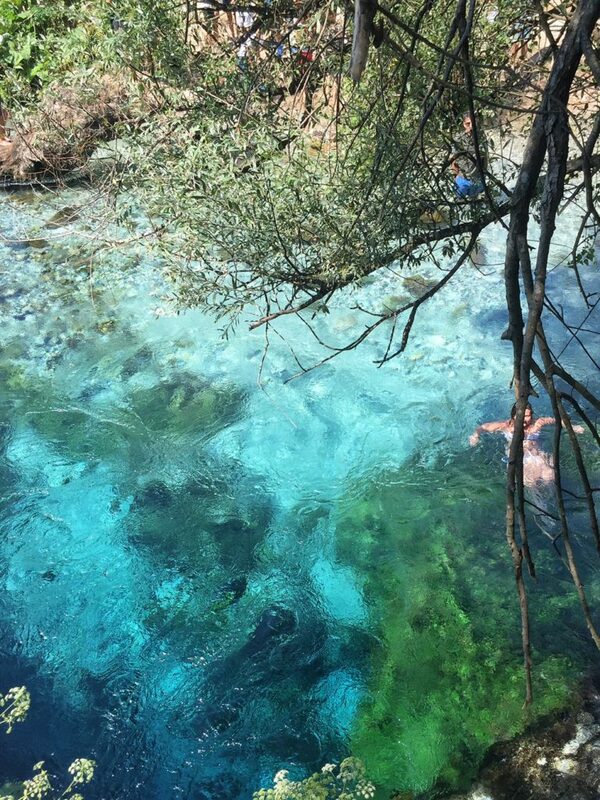 How to get to the Blue Eye (Syri I Kalter)? First, find the bus (furgon) to Gjirokastra, which usually does hourly departures every hour on the hour from the “bus station” outside the ruins within Saranda’s city limits, which is around the intersection of Rruga Flamurit and Rruga Skenderbeu. Your host, or pretty much any Albanian person, should be able to direct you to the bus to Gjirokastra. The bus to Gjirokastra/The Blue Eye should cost you 300 lek, a little over $2. Tell the bus driver you want to get off at Syri I Kalter or the Blue Eye – they’ll know what you’re talking about; this is a very common stop. It takes about 30 minutes to get here. You’ll have to walk about 2 kilometers to the actual Blue Eye from where they drop you off. Don’t worry, the signs are well marked, and there is virtually no way you can get lost. Even if you’re me. To get back to Saranda from the Blue Eye, just wait outside the entrance on the opposite side of the street where you were dropped off (the side that would be headed back towards Saranda) and wait to flag down a bus with a sign in the window headed for Saranda/Sarandë. Although, most likely, when the bus sees you on the side of the road by the Blue Eye sign, it will stop for you regardless of whether or not you are paying attention. Buses typically come once per hour, so if you’re lucky, you won’t wait long; if you just missed one, you may have to wait up to an hour. 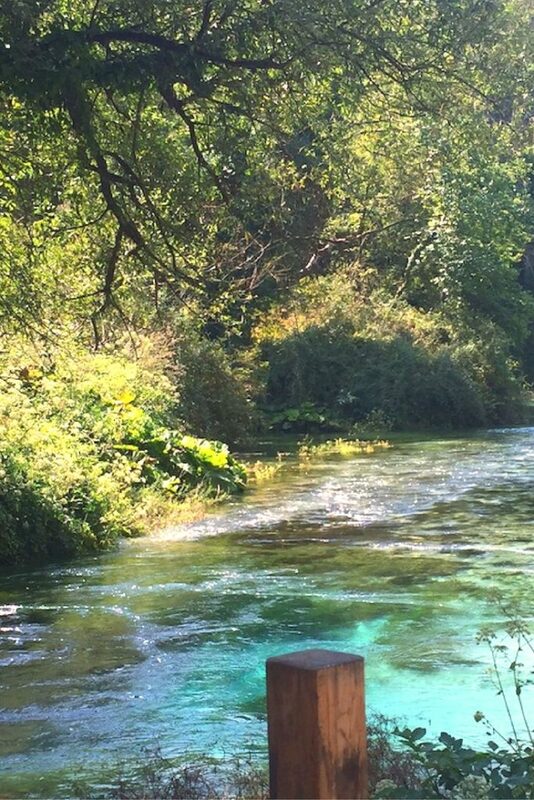 Another option is to hitch a ride back from the Blue Eye to Saranda. I know that sounds inadvisable, but I assure you, hitchhiking in Albania is commonplace, easy, and incredibly safe. 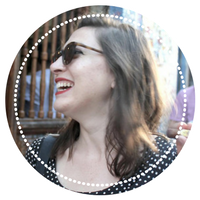 I hitchhiked several times in Albania and never had any problems and never had to wait more than 15 minutes to get a ride (and that was a ride across international borders!) You could also combine this with the next stop, Gjirokastra, in which case you’d wait where they dropped you off and flag the next bus. Be prepared to wait… this is Albania, man. AN IMPORTANT CAVEAT FOR TRAVELING TO THE BLUE EYE: All of this was true and accurate at the time of publication. However, things change often and without warning in Albania. Always double-check directions with the place you’re staying or ask a local on the day. It’s not hard to get around Albania because the people are so friendly and helpful, but you can’t always just go off Internet advice. I try, but things change quickly, so use this as a jumping off point to get an idea of what’s possible. Then once you’re there and on the ground, ask to confirm. PS, you don’t need to buy any bus tickets in advance – they are always available for sale on the bus. The Blue Eye looks beautiful! It reminds me a bit of the Vintgar Gorge in Slovenia, which was also insanely gorgeous. Oh wow! Slovenia is huge on my list to visit… depending on timing, I may try to squeeze it in on this Balkans trip I’m on now! Is it easy to get to Vintgar Gorge via public transit? Thank you! 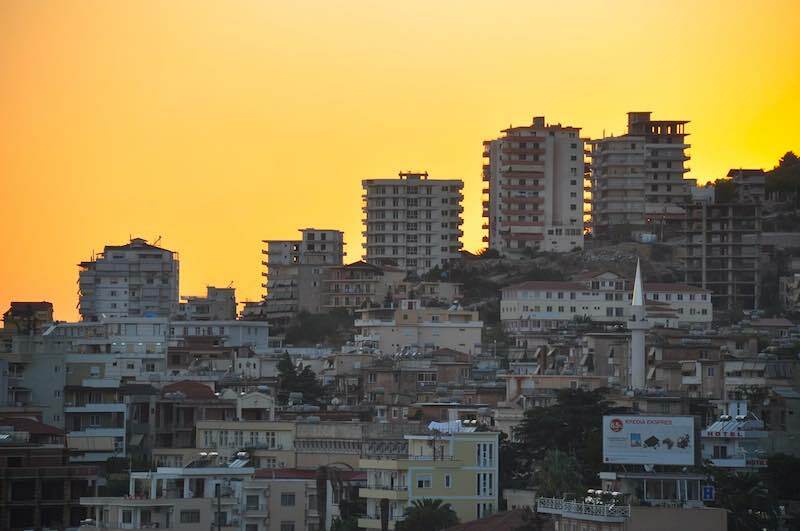 This post helped a lot during our time in Albania! 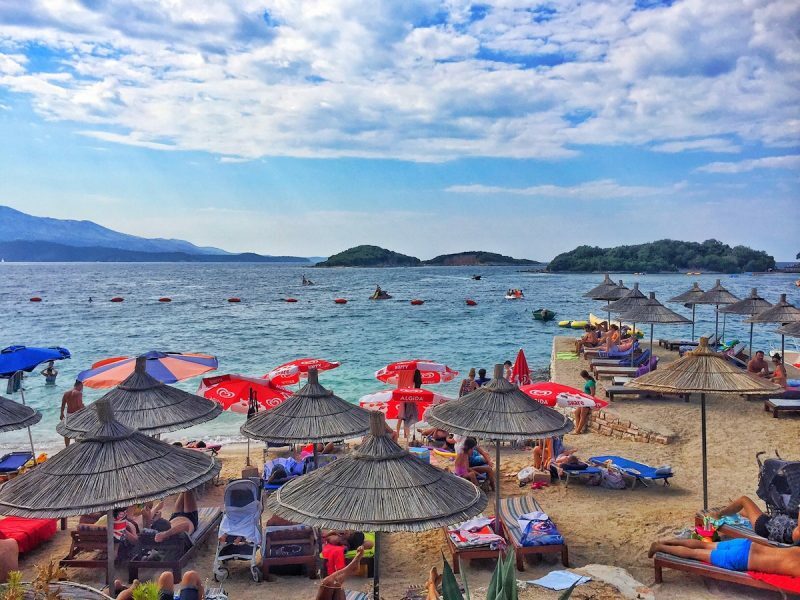 Albania is such a beautiful country, it’s quite amazing that it has stayed under the radar for many travellers for so long. Thanks Kieron! I’m glad you enjoyed the post and that it was helpful for your travels. My boyfriend and I will be in Ksamil for a few days and then we are going to Gjirokaster, for 1-2 nights before we head over to Montenegro. I wanted to stop at the blue eye on the way but we will have our luggage.. was there any shops or anywhere we would be able to leave our bags for a few hours? Thanks! It sounds like a day trip will be a better option. Though I have read your other posts and now I am leaning towards staying in Himare instead of Ksamil! 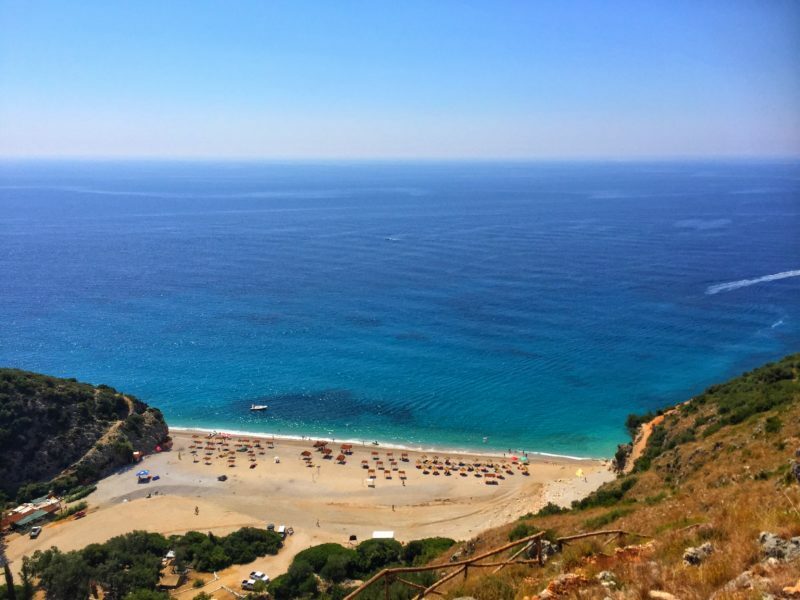 I definitely support that — Himara was my favorite place! There are lots of options, and you may want to look into renting a car if you can drive — prices are quite affordable and the roads are not nearly as bad as everyone says. The coastal road is especially nice and beautiful!